Selling a house means entering a competitive market with lots of similar houses that have similar features and selling points. So if you want to sell your house quickly and at a good price, you will have to make it stand out from the competition somehow, make it appeal to buyers more than all those other houses on the market. You could, of course, make major upgrades and renovations, but you probably wouldn’t see much a return on that major investment. There are, however, better ways. 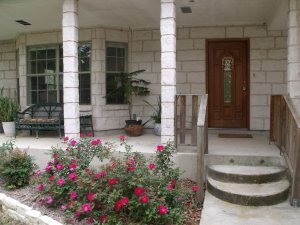 So here’s how to keep your house competitive when listing in Floresville. One great way to keep your house competitive when listing in Floresville is to take care of the small things – because many other sellers won’t bother to do it. You will have to cast a keen, objective eye on your house because you’ve lived there for many years and gotten used to these small things that need attention. Prospective buyers, though, will be sure to notice them. So if you want your house to be competitive, you’ll need to put in the time and effort to, for example, replace the cracked bathroom tiles, fix the leaking kitchen faucet, refinish the scratched cabinet doors, and see to the sticking windows. Even things such as cleaning around the light switches, the baseboards, picture frames, areas that we don’t see in our every day life. My garage door takes a beating as that is our entry door so it has always has grime around the door handle, etc that I have to clean but there are times when I don’t even notice it. SO take that time to view your house as if you were seeing it for the first time and note what you need to tackle. Kathy Streib is a former Texan who now lives in Florida and is a home stager. 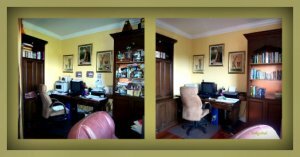 Her blogs are well worth reading as they point to many items and show the contrast between a staged home and one that has not been staged. And staging means everything in this article whether the homeowner does it or a professional stager like Kathy does. The above picture is one of the ways that Kathy points out the differences in how a room can look after being staged but for more ideas see her blog: What you want your entry to say to buyers Another of her good blogs about the first impression your home makes is How are you greeting your buyers. Thoroughly cleaning may seem too obvious to need mentioning, but it remains a great way to keep your house competitive when listing in Floresville. A lot of other sellers will be so caught up in doing the big things like updating the kitchen that they will often neglect this part. In addition, you need to do at least some staging to display your home to its best advantage, highlighting its best features and downplaying flaws. Actually, it’s best to use a professional staging service. When your house has been properly staged, buyers will be able to envision it as their own home filled with their possessions. But if you feel you cannot afford a stager, do the best you can with the items you own. Put away distracting items and highlight others. 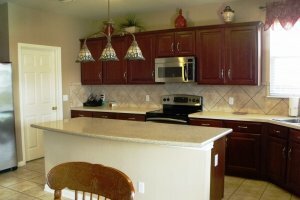 Ano ther thing you simply can’t overlook if you want to keep your house competitive when listing in Floresville is the lighting, both natural and artificial. A dark house with old fixtures and dingy switch plates is unappealing to buyers. And, of course, you want them to be able to see the cleaning, painting, and staging you’ve done. A first step is to take down the heavy drapes and blinds and replace them with sheers. Then, install new, modern fixtures and replace switch plates. All this will make the inside of your home a bright, appealing space that buyers would like to make their own. We all know how important first impressions are, and the outside of your home and your yard are the first things prospective buyers will notice when they pull up. Improving curb appeal is a great way to keep your house competitive when listing in Floresville because many other sellers focus solely on the inside of their home, especially the kitchen and bathroom, and neglect the outside. And, finally, to keep your house competitive when listing in Floresville, you might consider enlisting the aid of a qualified real estate professional. A good agent with a solid track record can provide a wealth of advice about getting your home ready for sale and making it competitive.